My thanks to Glenn for for the ink sample. 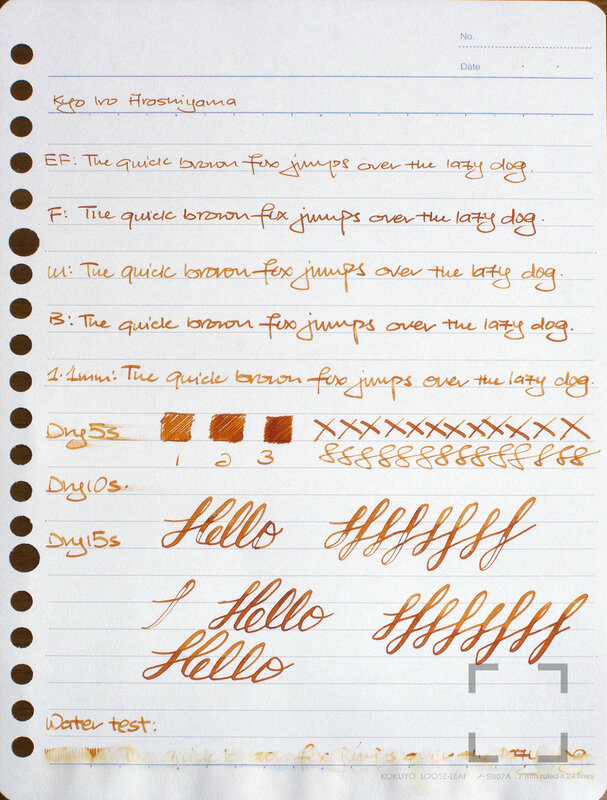 This is one of a set of five Kyo Iro inks. 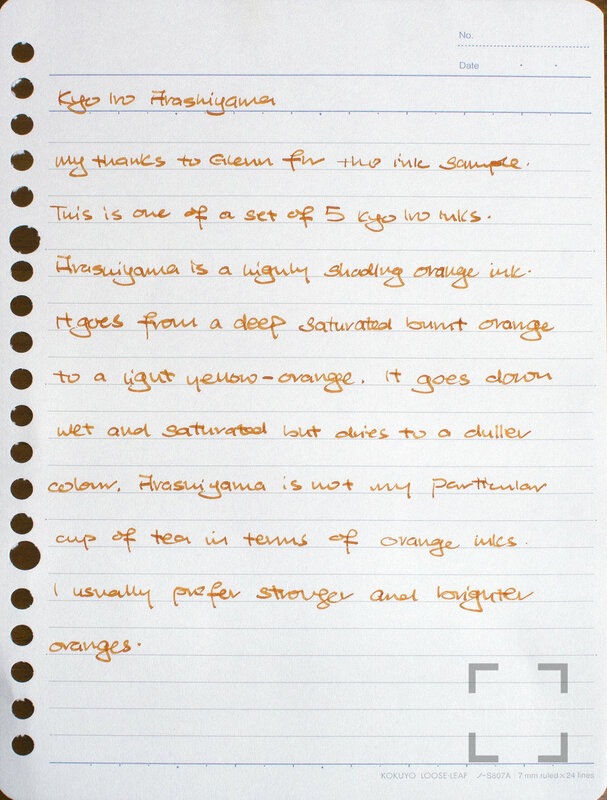 Arashiyama is a highly saturated shading orange ink. It goes from a deep saturated burnt orange to a light yellow-orange. It goes down wet and saturated but dries to a duller colour. Arashiyama is not my particular cup of tea in terms of orange inks. I usually prefer stronger and brighter oranges.